The Royal Wedding will be inspiring weddings all around the world. Every time a royal gets married, the wedding industry gets a massive push from couples wanting their own royal experience. So, what can the industry expect to see in the next few months? With all eyes on the Royal Wedding, Meghan Markle’s dress will be the center of attention. Though we do not know her exact dress design, it’s likely Meghan will follow the tradition of other royal brides. Ever since Queen Victoria, royals always wear white wedding dresses. This choice may not be true for Meghan’s dress though, as she was married before. Since colored gowns are a growing trend, she may choose a less traditional color, like champagne, pastel blue, or blush. This color choice would influence the type of color brides will want their dress to be. It could lead to a more dramatic shift away from traditional white. We expect to see lace, as that is a common feature in most royal wedding gowns. There also may be sleeves on the dress. Kate Middleton’s dress had sleeves and a modest neckline. Because sleeves are dominating 2018 wedding dress, we can assume that Megan will embrace this trend, as well. With this in mind, modest dresses with a higher neckline may find themselves at the top of bridal minds. Meghan’s character on her T.V. show Suits wore an A-line wedding gown, with lace detailing and a tulle skirt. The bodice had no sleeves and a deep v-neckline. It is unlikely that she would wear that look again. She would not want to repeat old fashion, and it would not be appropriate according to royal tradition. It is likely she will wear an A-line dress though, as it compliments her figure. Bridal shops should be prepared to see requests for that kind of dress increase. Also, the wedding dress would not be complete without a train. It won’t have to be 25 feet long like the late Princess Diana, but a short train will make brides swoon around the world. 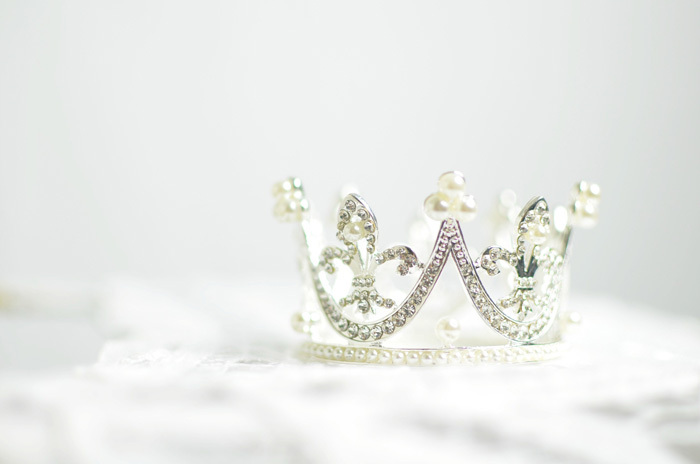 A tiara is a staple of any Royal Wedding. Though Meghan does not have a tiara of her own, Queen Elizabeth may let her borrow one or have one custom-made for the ceremony. Tiaras can be worn with or in place of a veil. Not every bride has the money for a tiara, but jewel encrusted headbands could be a suitable replacement. Crystal headbands have the bang without the hefty price tag, so it is likely brides will be wanting them. The more like a princess the bride looks, the better. It is likely that brides will be opting out of the ever-popular flower crown for a more regal crown. The invitations for the Royal Wedding are gold, black, and white. The font is a traditional script, nodding to both tradition and Megan’s calligrapher days. We see this simple color scheme and design surging in popularity in the months leading up to and following the royal ceremony. 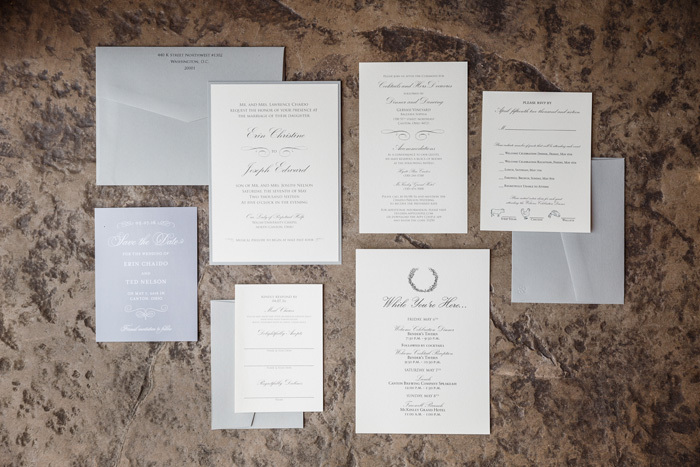 Hand-written calligraphy or a more formal, traditional font will be all the rage. Myrtle has been featured in the royal bouquet since 1845 when Prince Albert’s grandmother gifted it to Queen Victoria. It has become a symbol of eternal love for the British Royal Family. Prince Harry and Meghan Markle have chosen to honor the late Princess Diana on their wedding day through the bouquet. They will be including white roses from the garden – Diana’s favorite. Meghan will also include some peonies, her favorite flowers. As these are two of the most popular wedding flowers, we aren’t surprised. The bouquet is likely not to have too many different colors, as it is more regal to have pure colors. Expect to see the current trend of white flowers with overflowing greenery stick around. There may also be an increase in flowers that are tributes to loved ones. The key to bouquets this season is simplicity with meaning. Need marketing advice? we can help! It is well known that the royals often arrive at the chapel doors in a horse-drawn carriage. This tradition may not be upheld for the upcoming Royal Wedding. Prince William and Kate Middleton showed up to their ceremony in 1978 Rolls-Royce Phantom VI. 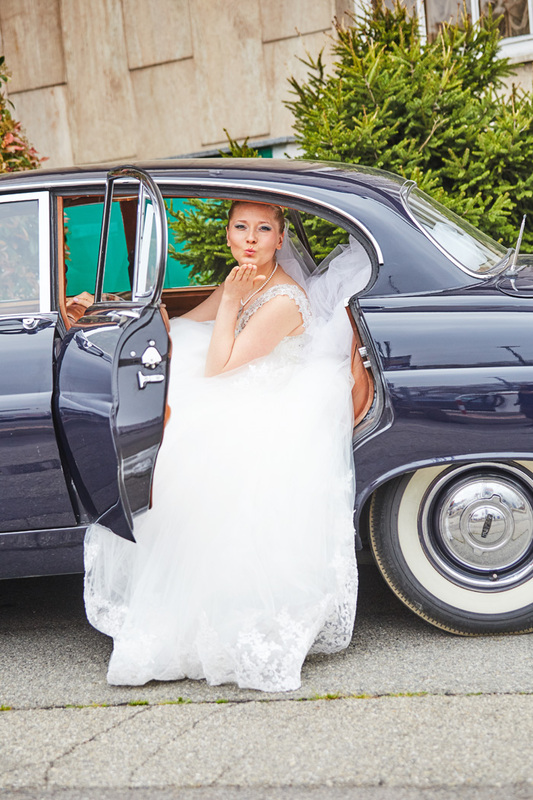 This vintage car gave their ceremony an updated feel compared to the tradition carriage. Meghan may choose to follow suit and also show up in a car, though Prince Harry and she will have a processional through town on the traditional horse and carriage. We expect classic cars and carriages to be a favorite for 2018 weddings. Prince Harry and Meghan Markle have asked guests to donate to charities instead of buying traditional gifts. This decision could be because of Meghan’s recent work in the humanitarian field. Both she and Prince Harry have been working with many different charities around the world. Due to their example and the fact that most couples live together before their wedding, we predict this will become a common request. It has recently been confirmed that the royal couple has decided on a lemon and elderflower cake covered in buttercream for the wedding. Light, fruity, natural flavors will replace rich and decadent flavors this wedding season. Expect more fruity flavors to be chosen by couples who are trying to have their own Royal Wedding. Lemon, strawberry, banana, and others make delicious cake flavors or can serve as fillings! You’ll hear many requests for infusing natural flavors and organic ingredients. 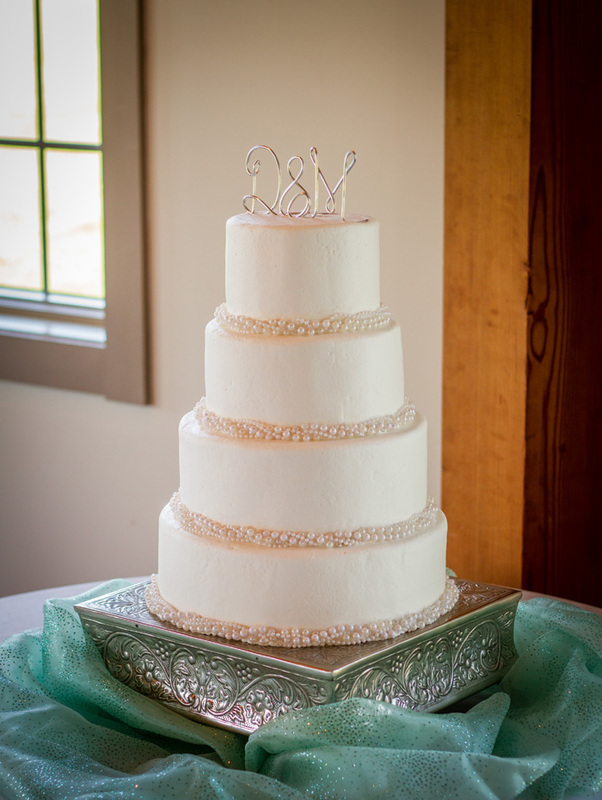 You’ll also see a return of the tiered wedding cake! It is traditional for the royal family to have tiered cake present at the reception. How else can you feed all those diplomats and celebrities? What the royals do, brides will follow. Prince Harry and Meghan’s wedding will be in St George’s Chapel, Windsor Castle. Royals weddings are often held at a church. What does this mean for everyone else? There could be a trend toward indoor, ballroom weddings and a shift back to the church ceremony. Stained glass windows and pews will be a must while walking down the aisle. Other styles like beach, industrial, or woodsy weddings will take a backseat to a more formal, classy venue. The Wedding Industry is about to be invaded by the British Royals this year, so to stay prepared and have an idea of what trends about to boom follow our Pinterest page. As they say, you can’t say no to Royalty.